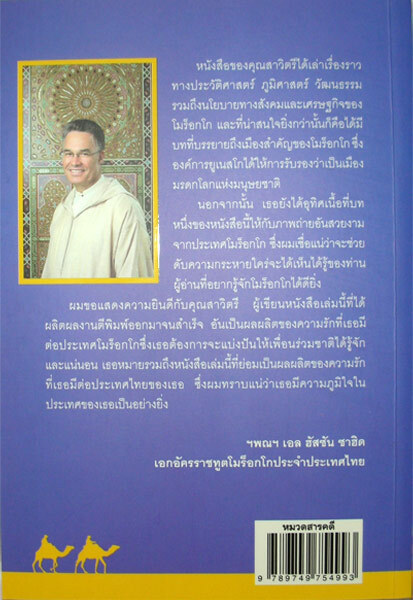 When Mrs. Savitiri Suwansathit informed me of her project before she left for Morocco during March 2007, I told her that it is an excellent idea, given that there ought to be a book in Thai language on Morocco so that Thai people get to know the country better. 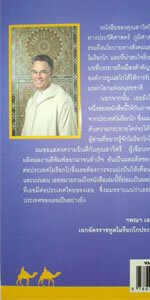 The publication of a work in Thai on Morocco will undeniably contribute to the consolidation of the already excellent relations between Morocco and Thailand. 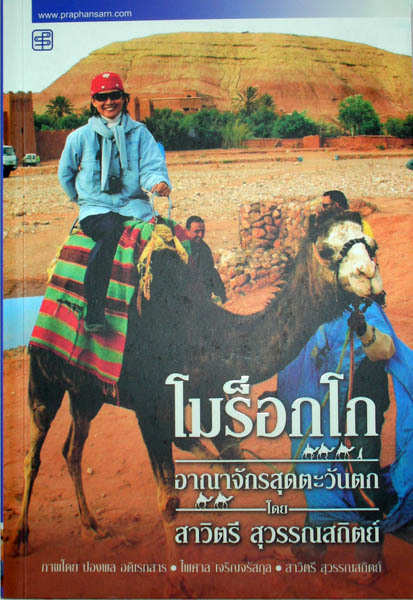 I am convinced that the Thai people who know Morocco, just as those who did not get to know will find Mrs. Savitiri's book a valuable knowledge tool. 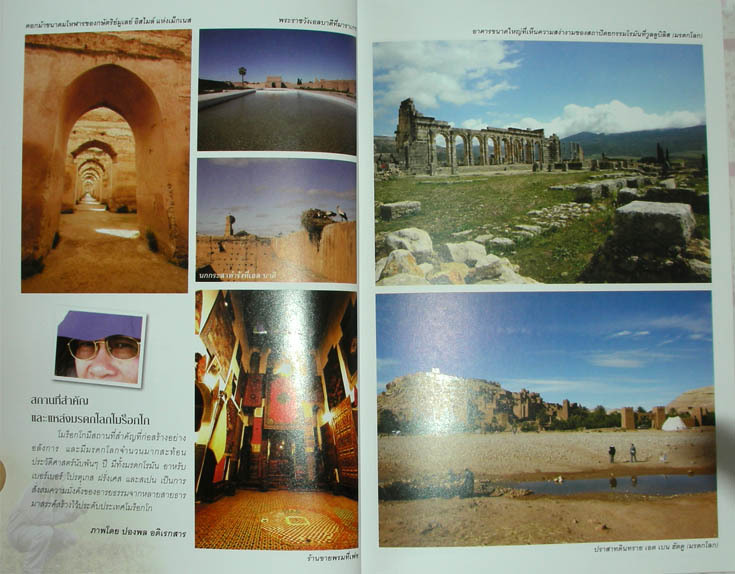 In fact, the book goes beyond the simple informative documentation on Morocco. 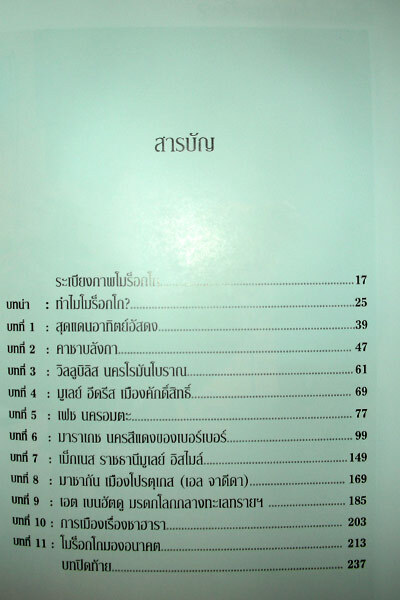 The book deals with the history, geography, culture as well as the socio-economic policy of the country. Even more interesting are the chapters on the Moroccan cities that are listed, by the UNESCO, as Common Heritage of the Humanity. 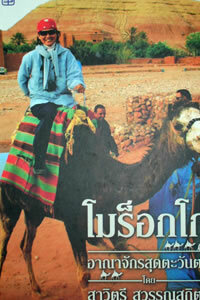 The fact that she devoted a whole chapter to photographs on Morocco will, I am sure, satisfy the curiosity of the readers. 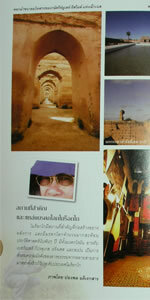 I would like to congratulate the author for her publication on Morocco, which is the fruit of her love for the country that she wanted to share with her Thai countrymen, and also out of love for her country of which I know she is proud.